Many pregnant women show signs of several types of thyroid diseases and conditions. Thyroid related disorders are common in child bearing women and are more prevalent during the early periods of pregnancy as during this time the fetal thyroid gland becomes functional. 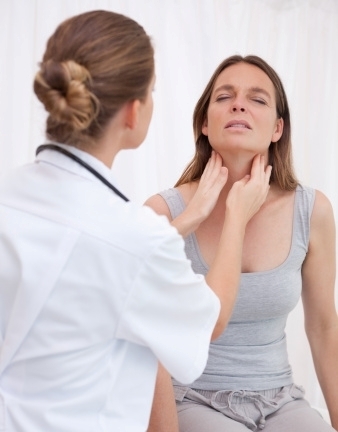 One of the thyroid gland related diseases which is caused during pregnancy is hyperthyroidism which is a condition in which the thyroid gland becomes overactive which means that too many thyroid hormones are put into the body. One of the common signs of hyperthyroidism during pregnancy is excessive sweating. This happens because everything in the body is going at a faster rate than in normal conditions. 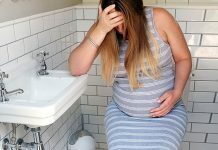 Another sign of hyperthyroidism during pregnancy is frequent need to go to the bathroom as the bowel movements become frequent and show a lot of change. Troubled sleep is yet another sign that a pregnant woman is suffering from this thyroid disorder in which the thyroid gland becomes overactive. In many cases of hyperthyroidism during pregnancy, a woman might start losing weight or gain weight too slowly. Anxiousness and weakness are the other signs of this thyroid gland disorder which affects women during the time of pregnancy. Another sign of hyperthyroidism during pregnancy is sensitivity to cold. So if you too are experiencing an unexplained sensitivity to cold temperatures during pregnancy, then you might want to get yourself checked. Some of the other signs and symptoms of this thyroid issue during pregnancy are thinning of hair, dry, flaky skin and brittle fingernails. If you have been experiencing pain in the muscles on a regular basis during pregnancy, then this too might be an indication that you are suffering from hyperthyroidism. You must consult your doctor if this happens and get yourself checked for hyperthyroidism. 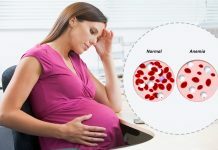 Depression and constant irritability are the other signs of hyperthyroidism during pregnancy and if you are able to detect these symptoms, then a consultation is necessary. If you have been experiencing any two or more of the above given signs, then it is possible for you to be suffering from this thyroid disease during pregnancy. In such a scenario, the first thing to do is to consult your doctor.